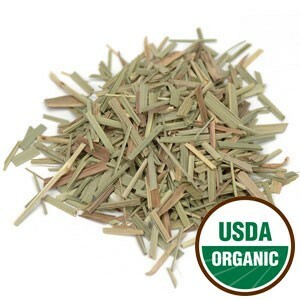 Lemongrass Tea is the perfect tea to help your body get rid of toxins and excess fats. From the Latin name cymbopogan citratos, lemongrass is a perennial grass native to Southeast Asia and it can either be grown in the garden or potted indoors. It is also known as oil grass or serai in Malay. This amazing plant seldom bears seeds and it is often propagated from a section of root. It can reach 1.5 to 2 meters in height and it has globular stalks, broad and scented leaf blades. 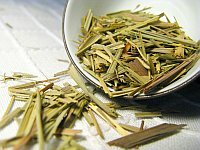 As a medicinal tea, lemongrass has been used in ancient Indian ayurvedic medicine and in Chinese medicine for a very long time. Nowadays, Lemongrass is cultivated and distilled in Java, Ceylon, Malaysia and Central America for its oil, mainly used in the pharmaceutical and cosmetic industries due to its antiseptic, antibacterial and antiviral properties. This herb also has an important role in Southeast Asian cooking, especially in Thai cuisine that uses lemongrass tea for its lemony aroma. With increasing popularity around the world, this particular Asian cuisine has helped tea made with lemongrass to become better known in Western countries. So, if you go to Thailand or just go out for Thai food, try Nahm Takrai, an iced lemongrass tea recipe, ideal to drink when eating spicy foods. Now let’s see what wondeful health benefits this tea has to offer you. The infusion of lemongrass possesses powerful antioxidants, an essential oil - citral oil - and plenty of vitamin C. It also contains active ingredients, such as myrcene and citronellol that help boost your immune system and offer relief from pain. If you are looking for a detox tea, lemongrass herbal tea may be the right choice for you. It has anti-microbial, anti-fungal, anti-bacterial, disinfectant and diuretic properties that allow you to detoxify the pancreas, kidneys, bladder and the digestive tract. This cleansing tea may also improve liver function and lower uric acid level. Drinking a lemongrass infusion on a daily basis helps you with indigestion, stomach cramps and gastroenteritis. And it is also safe for children, so if your child regularly suffers from stomach aches or digestion problems, this tea comes in great aid. It is great to regulate your intestines as it helps if you suffer from gas, bowel spasms and diarrhea. To top it off it aids in preventing constipation by keeping you hydrated. If you are a fan of big meals, drinking a cup or two of lemongrass, helps you eliminate excess fat much faster and reduce water retention in the body. So take a cup of this lemony tea after your meal. Additionally, lemongrass tea is great to lower blood pressure and bad cholesterol levels. Drinking it will help you reduce the risk of getting cardiovascular diseases. You will be losing weight in the healthiest way possible. This tea also works as a sedative by producing a calming effect on the body. As with most herbal teas, it is caffeine free and it is great to induce sleep and fight off insomnia. Lemongrass has analgesic properties as well, so this medicinal tea will bring you headache relief. It may also act as an antidepressant, a mood enhancer and a stress reliever. If you have had a busy day, have a cup of this tea to help you relax and rest properly. Begin a new day feeling refreshed. This tea is a great treatment for fever. It is used as a remedy for curing nasal and chest congestion, colds and coughs, and it helps to bring down fevers by promoting sweating and the cooling of the body. Here’s a tip: sweeten your tea with honey for increased action against early cold symptoms. While most teas show more of a preventive action by limiting cell degeneration, lemongrass tea may actually provide a cure for cancer due to the action of a molecule found in this tea called citral. It destroys cancerous cells while leaving healthy normal cells unharmed. Studies are being performed to test the performance of lemongrass in this field, and the results are promising. Rich in vitamin A, a lemongrass infusion will help your skin look younger and fresher. It prevents acne and pimples through its antibacterial natural preventive action. Lemongrass herbal tea may also be used to treat athlete’s foot due to its antifungal action as well as heal cuts and sprains when applied externally. This detox tea also provides you relief from nausea. It acts as a muscle tissue toner, so when applying lemongrass externally to the joints, it helps to bring relief from pain related with arthritis and rheumatism. It is said that by adding a dash of pepper, this tea helps with menstrual cramps. Despite all these amazing health benefits of lemongrass, keep in mind that you must avoid this tea if you are pregnant and it may also produce an allergic reaction to more susceptible persons. Put your kettle on for these wonderful teas! It’s time to discover how to make lemongrass tea. This is a moment of pleasure and also relaxation. Invite your friends and family for a dinner party and then after the meal serve this tea as a digestive tonic. When making lemongrass tea you can either use dried or fresh leaves. 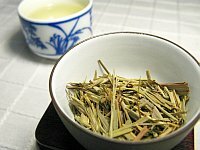 If you are using leaves directly from your own lemongrass plant, make sure to discard the outer leaves as these give a rather bitter taste to your tea. Cut the remaining leaves into slices, use one tablespoon of leaves per cup, and pour boiling water over them. Allow your infusion to rest for 5 minutes and then strain your tea. You may sweeten it with sugar or honey, though it is better to use honey to preserve the benefits of your tea. If you wish to drink your tea cold and iced remember to increase the strength by increasing the amount of lemongrass per cup of tea. As the ice melts, the more diluted the tea will get. Now behold its light yellow colour and breathe in the fragrant lemon aroma. Taste it. It is not too strong or overpowering, making this tea the perfect drink for a light evening meal. The citrusy scent and aroma you can feel is given by citral, which is also used to harmonize the flavour and adding zest to many blends, like catnip, chamomile and mint tea. Buy Your Lemongrass Tea Today! Click on the image or on the link below to purchase from Starwest Botanicals your Organic lemongrass herbs Cut and Sifted. The perfect way to make your tea is by using dried organic lemongrass tea. You may purchase lemongrass fresh, dried or in powdered form in health stores, but what about growing your own lemongrass? It’s easy and fun! All you need is to cut your plant at the stalk and leave the root to grow in a healthy environment: sun, rich soil and plenty of water. Even better, the tender white part of the stalk may be added to dishes, leaving the remainder of the leaf to be brewed into a nice cup of tea or even to make pot pourri. The citrus flavour brings a bit of the exotic into every dish you cook. Even dried lemongrass can be used for cooking. With lemongrass you can season fish, poultry, soups and seafood, and don’t forget salads, jams and stews. How amazing is that? A simple plant can offer you so many alternatives – a fragrant and healthy drink and an interesting mark on your dishes. Cleanse your system, improve your digestion and at the same time drink a wonderful lemony tea. This is indeed a healthy and unique experience. Go ahead and give this detox tea a try! It may just be The Right Tea for you.